OdoActive is the optimal choice when there is a demand for very high efficiency and high reliability. The process is well suited to remove odor and VOC from a number of different sources. 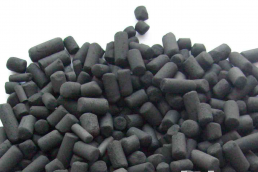 It is used especially against odor from wastewater, sludge and exhaust from frying and food production. OdoActive cleans the air by very intense UV-radiation. Organic molecules and odor are broken down the same way as the sunlight breaks down similar components. The process is considered as an Advanced Oxidation Process, AOP. By combining radiation of UV-C and V-UV, a number of different radicals are formed. They react with the pollutant and break it down. The process works best in the presence of a catalyst. 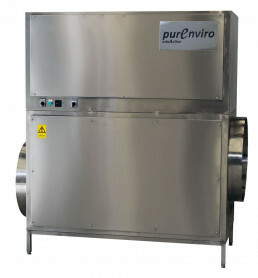 We always deliver the unit in combination with an adapted filter which works as a catalyst. When do you choose odoActive? The technique works best in low to mid range concentrations, where there is a demand for high efficiency and reliability. The removal rate is higher with odoActive, than with a carbon filter, and a more stable function is achieved. In Scandinavia, the technique is the standard solution in cleaning the air from wastewater treatment plants. It is also used in conjunction with frying and food production. In such applications, the facility helps keeping the ventilation system free from fat and dirt. The UV-C radiation also work as a disinfectant, which can be very important in some applications. OdoActive is mainly used for odor removal and works especially well in situations where odors are composed of many different compounds. In all situations where a carbon filter is used, there is an advantage in upgrading to odoActive and get better cleaning and more stable performance. Large sewage pumping stations which are nearby buildings or sensitive areas, often require a high removal rate and stable performance. In those situations odoActive is very suitable. Handling sludge produces a lot of odor, and the gas can be very corrosive and cause damage to buildings and equipment. With odoActive the gas is cleaned and the problems with corrosion can be eliminated. The technique is almost regarded as standard in Scandinavia to remove odor from wastewater treatment plants. A very high efficiency is achieved – more than 99%. Odor from frying and food production can be troublesome. In addition there is a risk that fat build up in the ventilation ducts which can be a fire hazard. odoActive removes the odor and helps to keep the ducts clean. OdoActive consists of two parts, one UV unit and a catalyst. 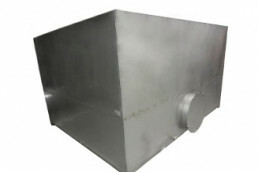 The UV-unit is always produced in stainless steel 1.4404, but the catalyst is delivered in a number of different materials. In this example, odoActive UV is combined with a catalyst/filter in steel and PP plastic. The construction of a filter with a catalyst is in principle, identical with the construction of a carbon filter. These can be made in rectangular stainless steel. 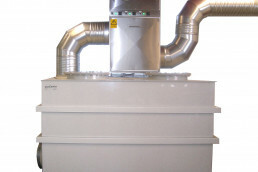 OdoActive is delivered as two units, UV and catalyst, and connected together with ventilation channels. The units are small and compact and delivered by a truck. Purenviro delivers active carbon that should be used as a catalyst in combination with UV. We use extruded carbon which has a low pressure drop, less energy consumption and lesser noise. The carbon is adapted to be used in combination with UV. We deliver UV lamps that fit most of the UV-units in the market. 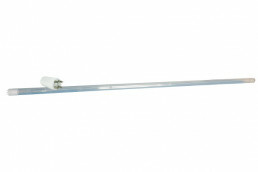 The lamps are 39W, has a quartz sleeve, and one-sided connector with 4 pins.